Home / News / Community / Did you see Muffin Break and Sunrise in Toowoomba? Did you see Muffin Break and Sunrise in Toowoomba? 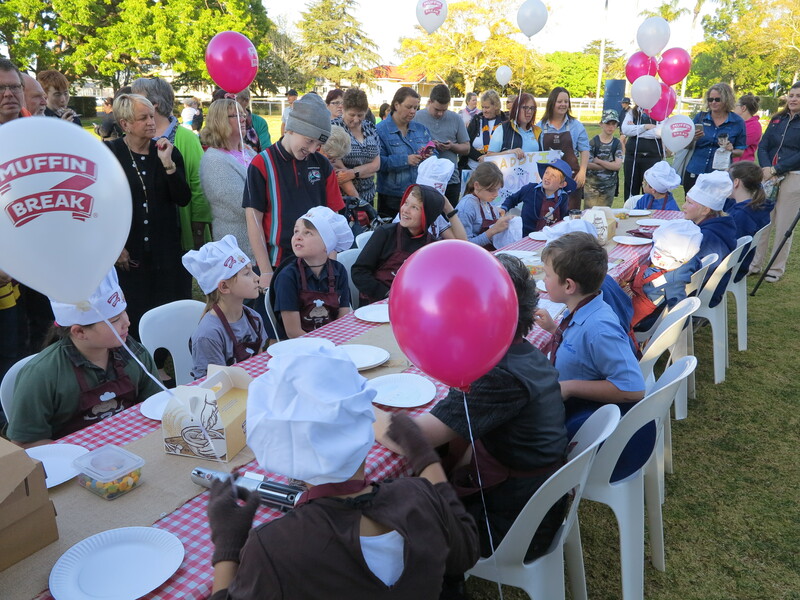 Sam Mac and the Sunrise Weather Team visited Toowoomba 13th September and had a fantastic day! We gave away free muffins & coffee on the morning and people from far and wide came to Laurel Bank Park to enjoy the festivities. 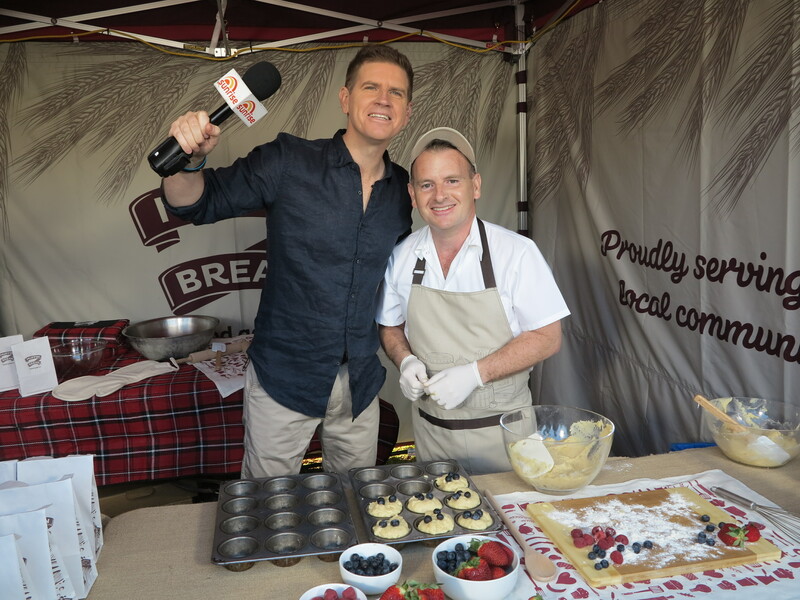 Muffin Break hosted a morning picnic in the park and served complimentary muffins and coffee* with our Sunrise Show friends. 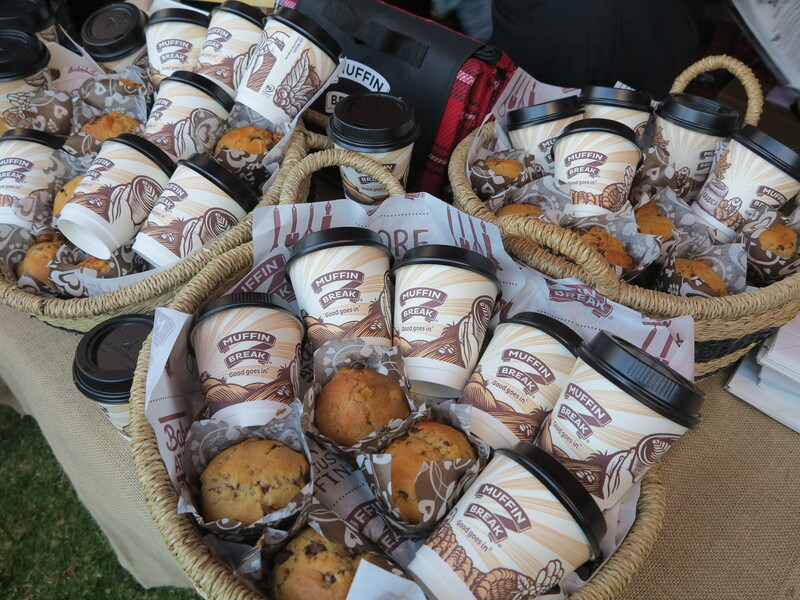 We had hundreds of Toowoomba locals lined up from 5am ready to try our freshly bake muffins and award winning coffee! We hosted a kids muffin decorating workshops that transformed your little ones into bakers so they can create their own delicious muffin creations on the day. 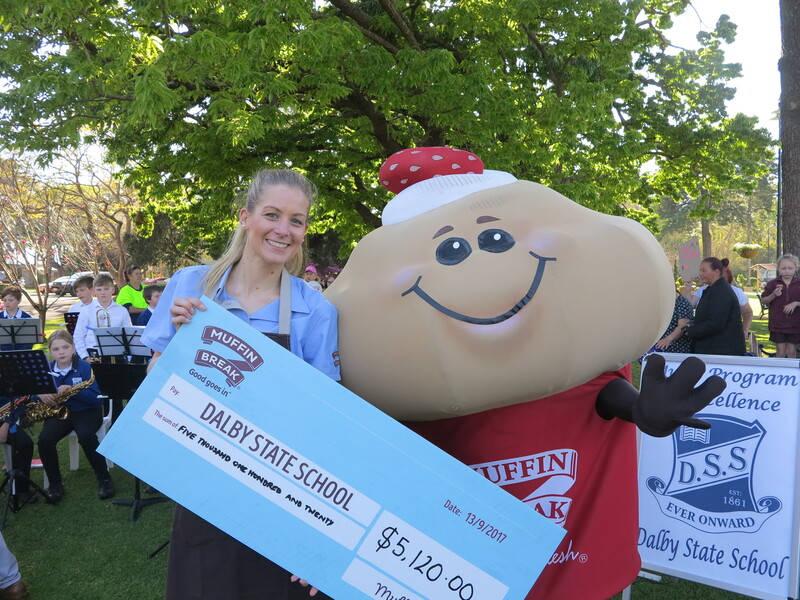 Muffin Break proudly supporting Dalby State School during the event and handed them a cheque worth $5120 to rebuild their school after a fire caused $1 million dollars of damage in April. We would love if you could donate to the Dalby School Rebuild Initiative. If you were unable to come to the event please visit the school’s GoFundMe page and donate!